For a long time the intention to build one global market that will not limit the currency has been on the drive. Many people across the world have the desire to trade with other like minded potential clients in other parts of the globe but distance and currency has been an issue. Thanks to Vestarin because it has made this [possible and has brought in freedom, choice and control on how people trade. With internet taking control of the business style and processes across the globe Vestarin has taken the lead and now changing the world of cryptocurrency and its acceptability. It is setting a one stop market will high level of efficient and effectiveness, yet covering a very wide market potential. It is now possible to trade your goods and services from all over the world since Vestarin is now providing the platform for trade. With high level of intelligence running and controlling cryptocurrency, it is slowly becoming one of the strongest curries. How does Vestarin work? The merchants or the shop owners accepts to integrate their businesses to the platform under which Vestarin runs. The users are then able to make the orders and pay from the same platform making the collection very easy. 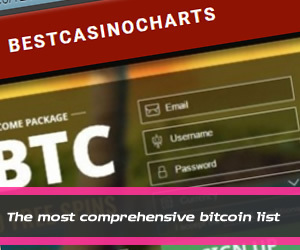 Vestarin is controlled by high end technology that is also passed to the users. What does Vestarin do? It has created a digital market and mobilized willing partners to trade on cryptocurrency. The people operating on the site accept any of the cryptocurrency as mode of payment hence increased ability to sell. It has eliminated the issue of distance when it comes to trade and the challenges that existed in the past on currency exchange and central bank control. It therefore allows all the clients to get all they need and pay their daily expenditure via cryptocurrency. Who trades in Vestarin? Just like the normal operations of merchants, ranging from the supermarkets where we get our daily shopping to restaurants where we visit for coffee you don't have to carry the physical cash. Any interested client can trade with Vestarin.